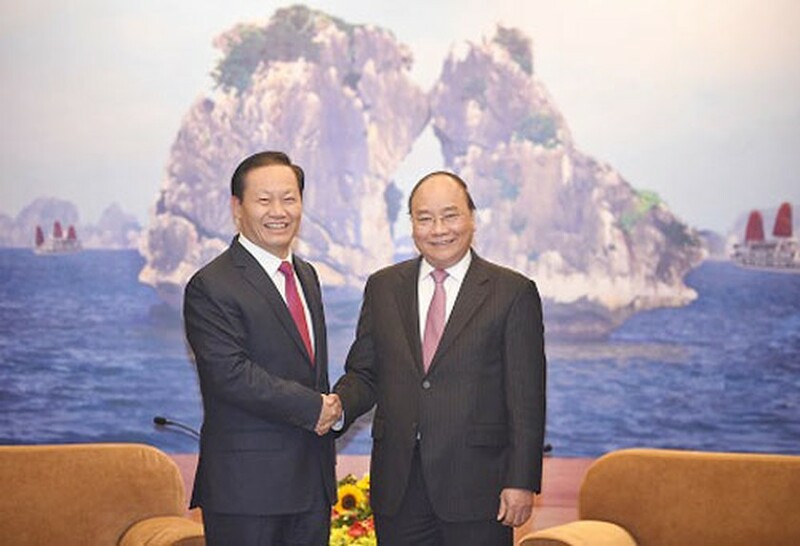 Prime Minister Nguyen Xuan Phuc yesterday urged the Chinese autonomous region of Guangxi to increase its import of Vietnamese agricultural produce and encourage its businesses to invest in Vietnam. Meeting with Peng Qing Hua, Secretary of the Party Committee of China’s Guangxi Zhuang Autonomous Region in Quang Ninh Province, he noted that trade with Guangxi had surpassed US$25 billion last year, accounting for 25 percent of the total trade value between the two countries. The PM also expressed satisfaction with the outcomes of the New Year meeting between Guangxi and the four Vietnamese localities of Quang Ninh, Lang Son, Cao Bang and Ha Giang. He also pointed out a few shortcomings in co-operation between Guangxi and Vietnamese provinces, including slow implementation of agreements and persisting trade imbalance. The PM said he hoped the Chinese region would expand co-operation with more localities in Vietnam's northwest, central and southern regions. He also requested the region to effectively implement agreements on the management of cross-border labour flow. The PM urged both sides to ensure social order and security in areas along their shared border while effectively carrying out the two countries’ agreement on protecting and tapping tourism resources at the Ban Gioc – Detian waterfalls and another on free navigation of boats at the mouth of the Bac Luan River. Peng responded that Guangxi would do its best to realise the shared visions of Vietnamese and Chinese State and Party leaders. 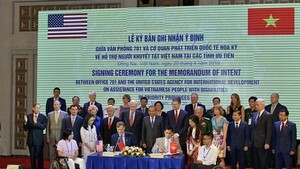 He noted that under the leadership and support of both Parties and States, partnerships between his region and Vietnamese provinces were thriving. He cited as evidence the successful New Year meeting held earlier yesterday between leaders of Guangxi and four Vietnamese provinces. He proposed that both countries upgrade their international border gates very soon. Peng also told PM Phuc that he had ordered Guangxi’s relevant agencies to deal with the issue of Vietnamese exports being stuck at local border gates.